You might have heard I’m on a conquest to “crack the century” (i.e. visit 100 real countries properly). 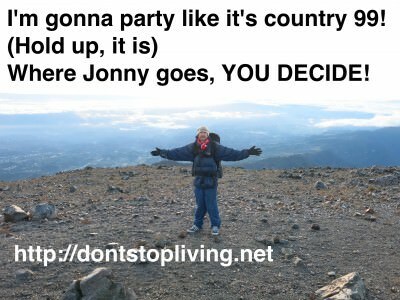 As I close in on my 99th country on this backpacking journey, I thought it would be fun for YOU to decide where I end up! It’s up to you to decide where I end up for country 99! I’ll choose my own 100th country to celebrate this feat, but I’m letting you get in on the act and vote for country 99 on my journey just to spice things up a bit! 6. You can also suggest another country for me, most of the places I’ve been are listed on my Where I’ve Been page, (though I admit I need to update that a bit). The poll is here: https://polldaddy.com/poll/8242403/ and imbedded below. For those who leave their name and a legitimate comment below the thread, I’ll make a video from country 99 mentioning you all!! 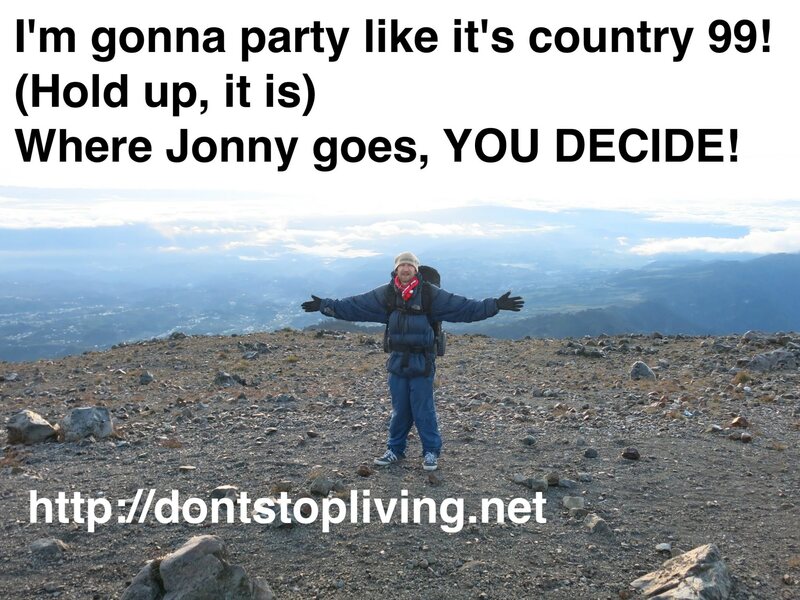 Where Should Jonny Go For Country 99? I personally like to use international football teams and of the 247 countries I personally recognise, I’ll definitely give it a good shot to try and visit them all. My main target is to visit 100, write a book and see where life takes me. Thanks for following my journeys in the meantime and dictating where I end up for country 99! In the lead up to my 99th country I hope to bring you some regular Facebook updates (follow me on there), more Youtube videos and interviews with travellers who have banged out 100 countries as well as an update on my own travels! I’m pretty excited to see the results!! Norway for sure! It is one of the most expensive countries in the world, so it would be interesting to see how you tackle it from a budget backpacker’s perspective. Also, I do hope you end up going well beyond the “100 country” mark as it sounds like you are hinting on taking quite some time off the road in this post to write your book?!? Hi Ray, I’m pretty surprised that Norway is the leader so far and I’m aware that it is expensive. Who knows if it will be the winner in 5-6 months time though. If it is – one of my good mates is from Norway (Stavanger) and for sure I’ll be able to hang out there. Though Svalbard and the northern Fjords would have to be the main highlights there. I can’t get any decent stuff written when I’m on the move Ray – I’ll be honest I’ve tried and a blog post is easy, but a book chapter is hard. As soon as I think I’m through it, we have to go for dinner, or go on a hike, or get a bus etc. For the book I plan to have a “travel writer’s room” established somewhere. It will include wifi, music, tea and coffee by day and beer at night. I don’t envisage having the book finished by the end of the year – if I do I’ll have overachieved and I’ll take that idea of yours and take some time off! We shall see. Celebrate Bhutan in December for your 100th country and my wife and I will be there to celebrate with you. By the way Bhutan will be our 104th country to visit. I have been following your website and FB posts for quiet some time. You’re a true inspiration for the wannabe travelers! However, I had one stupid question, how did you give places like India or Nepal a miss? Just a thought, please don’t mind it! I think you could travel to India or Nepal as your 99th country!! Ohh I see, I get your point Jonny!! Out of the 5 options, I think Kyrgyzstan would be great but maybe Norway might be better. Cameroon for sure mate – and track down roger Milla ! When i went to the United Nations in May 2010 I found out there was 192 UN members. A year later South Sudan became free and Independent from Sudan so that made it 193. I only count countries that are members of the UN. So if i have been to 30 nations it leaves me with 163 left. I have been to England but i just count that as one country as of the whole of the United Kingdom because the British Isles and Northern Ireland are still united. If i went to The Vatican, Taiwan, Sahrawi Republic, Kosovo, Palestine I would count that as a country because those nations have some sovereignty and diplomatic recognition. So it would be 30 UN members plus 5 NON UN members. Great information and opinions here though I definitely differ to you – I’m more about the people. For me, if the people in that country believe it’s a country, then it is. England is England and Scotland is Scotland as that’s what the people call their country. I’ve never been to a country called UK and I hate that name in fact. I’m definitely not a fan of the United Nations and would never use their guides as my own. Palestine is more a country than Israel will ever be, so to me if at at push they are ever to be counted as only one country, then the country is Palestine and Israel is the one that doesn’t exist. Hong Kong, Nagorno Karabakh, Macau, Transnistria etc. all have their own visas and borders, football teams and currency differences plus the people there tell you their country is that one, not another one. This might mean I have more countries to visit on my quest to travel the world, but I’d rather go with people’s opinion on their country. Personally I’m Northern Irish before I’m British, before I’m Irish and definitely before I’m European. The name of my country is Northern Ireland.